So everyone has their favorite recipes, and some are family secrets! I am a junky for great recipes, and never hesitate to ask a host if they would mind sharing their recipe. Over the years, I have had some crazy responses to this simple request! One man from Chile looked at me with all seriousness after being asked for his salsa recipe: “If I tell you, I’d have to kill you.” And years later I still don’t have Luis’s recipe! My sister-in-law Gretel shared her Mexican heritage freely and gave me the family salsa recipe, and over the last 20 years, it has NEVER failed to be a hit. I have been getting accolades for the last 4 years on my Colombian friend Monica’s Green Rice, which I Texicanized! The most recent recipe I acquired came in a sealed envelope from Brandy’s dad! I must confess that the envelope is still SEALED! 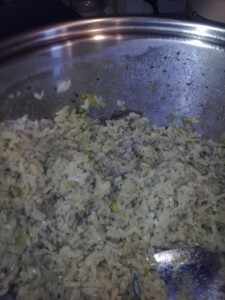 Today I want to share with you my own version of Gumbo and Green Rice! 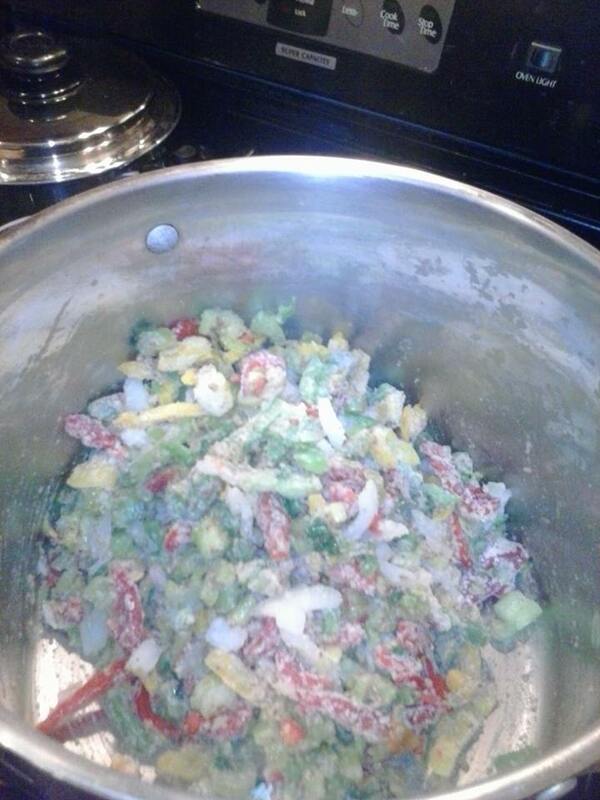 And here’s my secret: I make a HUGE pot of this, so I don’t have to plan dinner for the next week! Now you know another of my truths! In a very large pot, heat the ghee and bacon grease over medium heat. Whisk in flour and ground flax seed and cook, whisking unti it starts to turn brown, about 4 minutes. 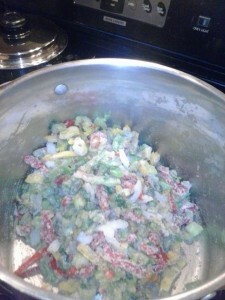 Reduce the heat to low and stir in onion, celery and peppers. Cook about 7 minutes until starts to soften. 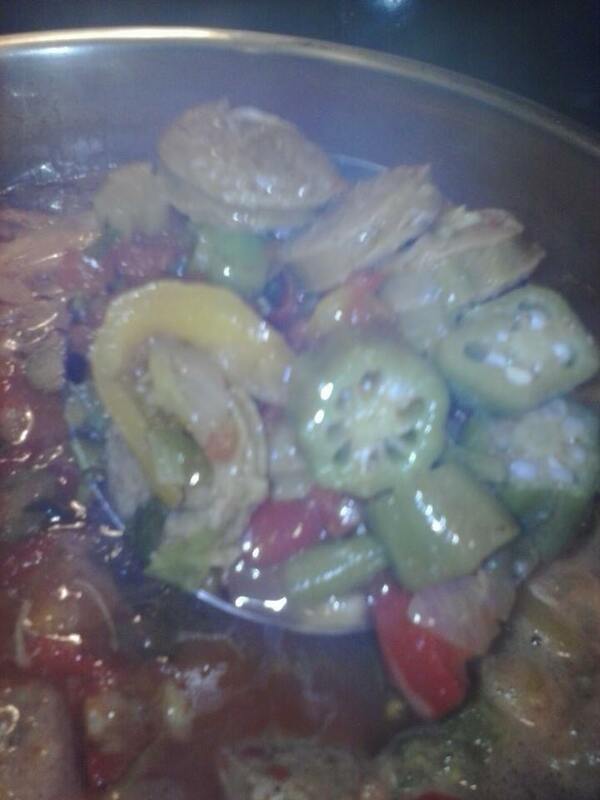 Add okra, tomatoes and all seasonings. Cover and cook for 5 minutes. Stir in broth and smoked sausage. Bring to a boil, and then reduce heat to simmer for 15 minutes. Add the chicken and cook until just done, about 4-5 minutes longer. 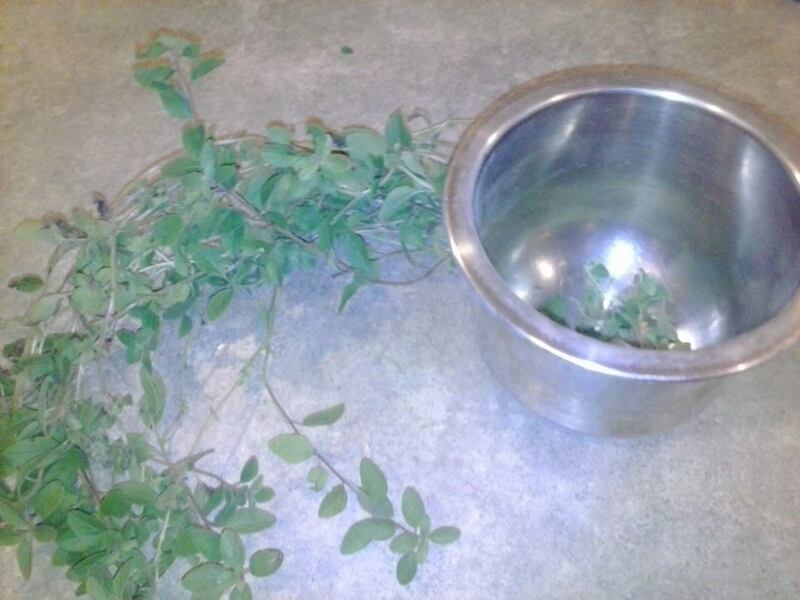 Remove your bay leaves. In a big pot put your sesame oil, leeks, salt and put heat on low. 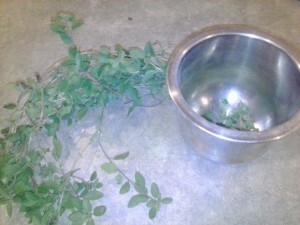 In a blender, put your bunch of cilantro and 2 cups of water, blend. Rinse your rice 1 cup at a time, and then add it to your pot. Your goal is to slightly sauté your rice (it turns white when you do this). 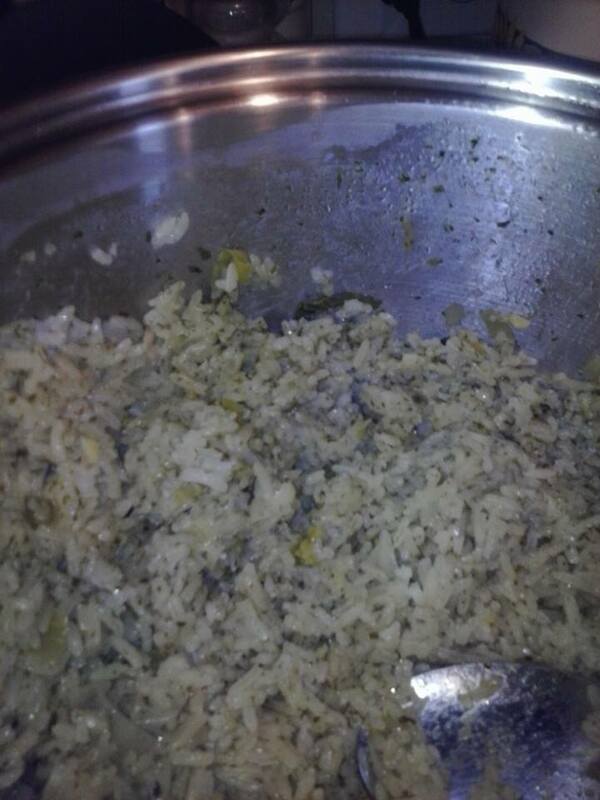 Once you’ve sautéed your rice, you are ready to add your green water mixture from the blender. Then you need 4 more cups of liquid. I like to use my homemade chicken broth, but you can also use water if you prefer it. Bring the pot to a boil, then put the lid back on and drop the heat to its lowest setting. Set your timer for 20 minutes and then Voila! looks great and sounds like a winner. I’ll let you know what my family thinks. Appreciate you sharing. I’d love to hear what your fam thinks! Yum! I’ve had this recipe and now I have it! Thank you for sharing! I agree- YL Lime EO would definitely add a defining flavor that would be just perfect. Fabulous! 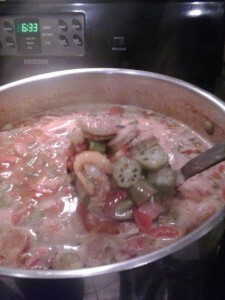 Hubby loves Gumbo so I will have to try this! Thank you! 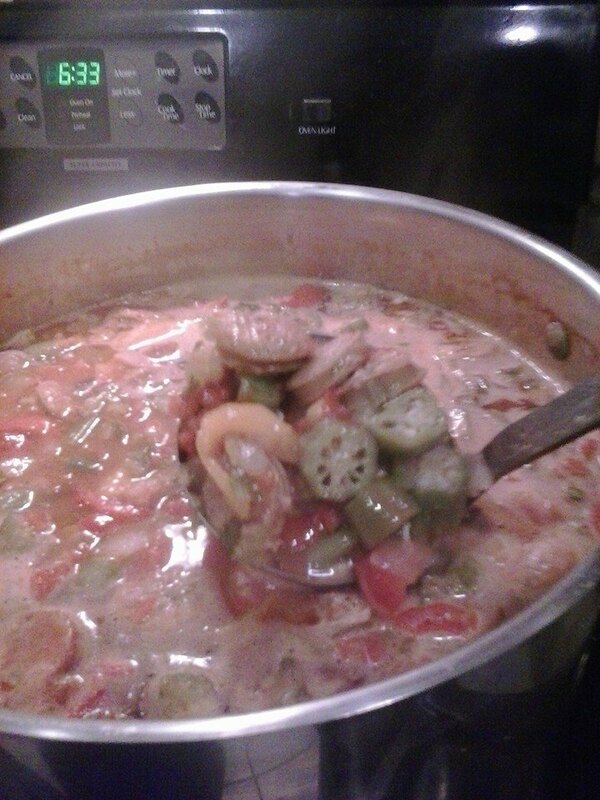 Absolutely love your gumbo and green rice! So yummy! Looks yummy, need to try it. This looks good. Will have to try one of these cold days. Looks good! I will have to try this soon! So excited to try this recipe, thank you!